Our track record includes helping Fortune 500 companies migrate to public clouds, as well as establish devops and dataops processes using cloud native services and industry best practices. We deliver automations and business results in weeks instead of months. A simple way to access servers, storage, databases and a broad set of application services over the internet. We help customers automate serverless applications management through continuous integration and continuous deployment. 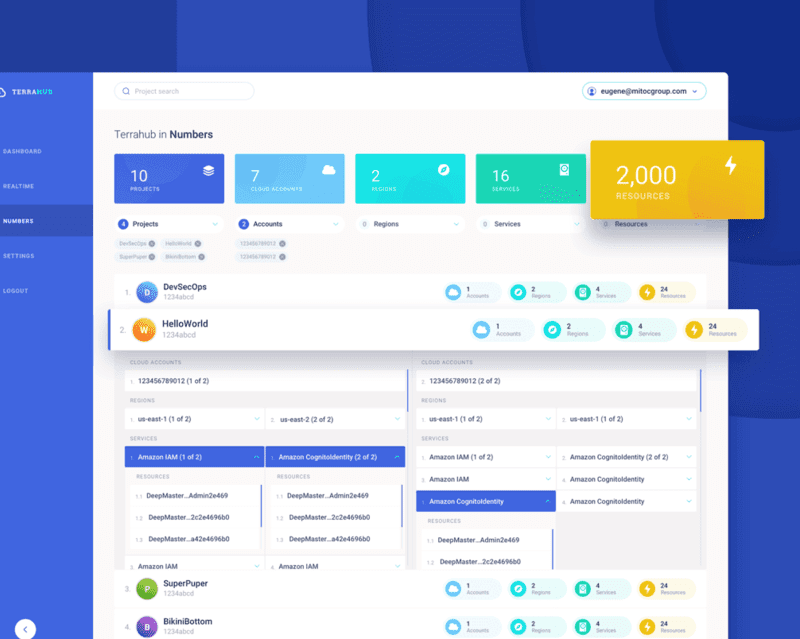 TerraHub.io — the DevOps Hub for Terraform Automation — includes terraform automation and orchestration tool called TerraHub CLI, data and logs management layer called TerraHub API and enterprise friendly GUI to show realtime terraform executions called TerraHub Console. We are very proud of our contributions to the open source community through projects like Digital Enterprise End-to-end Platform and DevOps Hub for Terraform Automation.